Color Lock is a density treatment exclusively for in-salon use. It seals the cuticles and locks color pigments into the hair immediately after the hair-coloring process, neutralizing alkaline and peroxide residues without weighing down the hair. - Apply after rinsing off color, BEFORE shampooing. Massage-in evenly to finish the colouring process. Leave 3 to 5 minutes. 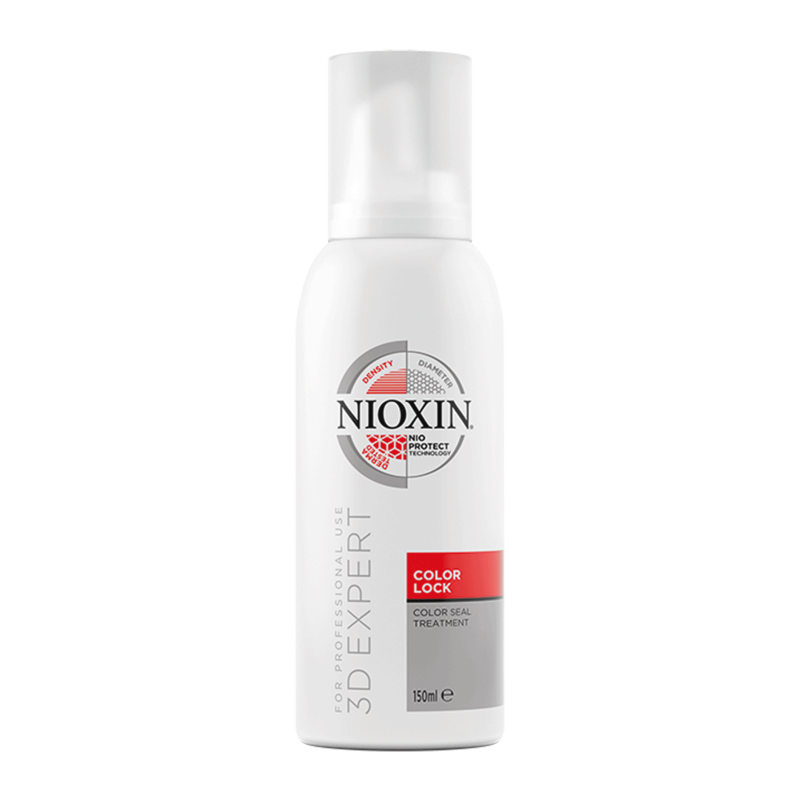 - Complement your Nioxin Color Lock Color Seal Treatment with the appropriate 3-part System kit for optimal results.